Armando Urteaga was elected to the Board of Education in 2005 and is currently serving in his fourth term. Mr. Urteaga and his wife, Lupe, are proud parents of three boys. He has been a school administrator for over 18 years. The last eight years, he has been the middle school principal in the Rialto Unified School District. Previous to that, he was a middle school teacher. 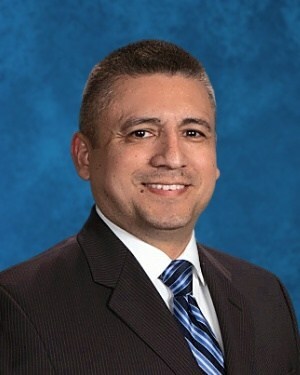 Mr. Urteaga was recently recognized by the State ACSA (Association of California School Administrators) organization as the 2017 Middle School "Principal of the Year" for Region XII. Mr. Urteaga has been involved in numerous areas within public education. He has served as a Teacher, Dean of Students, Assistant Principal, Principal, and School Board Member. He received his Bachelor’s Degree in Kinesiology from CSULA and his Master's Degree in Educational Management from the University of La Verne. Mr. Urteaga utilizes his past experiences as an educator and a parent as valuable resources when making decisions that will have a positive impact on students, staff, and community of the East Whittier City School District.